Laying out under the sun isn’t the only way to get that golden glow you’re looking for. If the weather isn’t so nice or if you need to get bronzed fast, New Mexico’s best tanning salons offer alternative options. From natural-looking spray tans to a variety of other beauty treatments, these 10 tanning salons in the Land of Enchantment are among the best! There is a lot to choose from in this salon. 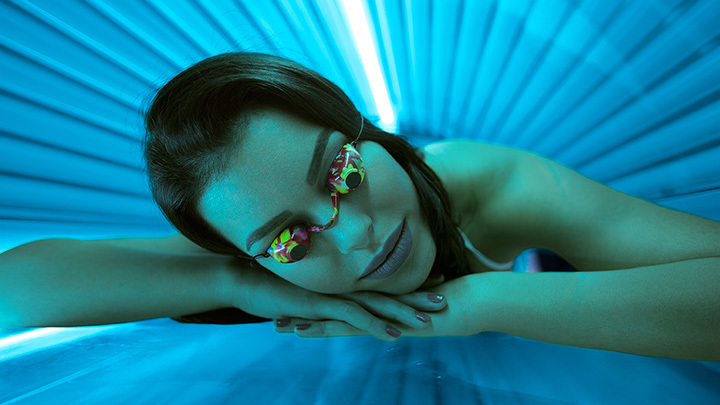 Spend time in one of six UV tanning units, four beds and two stands ups, from six to 15 minutes. There’s also a state-of-the-art UV Mystic HD Spray Tan for an even and beautiful look. After tanning, pamper yourself by taking home a bath bomb, organic bath salts, body spray or massage oil. You will look and feel your best after time spent in this salon. Tanning services include multiple tanning beds, in which you can stand up or lie down, that have different levels of UVA and UVB rays, as well as differing time restrictions. Sunless spray tanning, or Mystic Tan a spray/mist application is also available. Depending on your desires, there are a number of packages to choose from specifically designed to give you just the right look for a beach vacation or strapless dress. Friendly, family-owned salon with Smart Tan Certified staff. Making sure you walk out with a golden brown tan and a healthy glow is the objective here. Staff is certified not only in administering ultraviolet light, but also in safe operation of the equipment and proper sanitation procedures. The high-performance beds are new and up-to-date technology—lie down or stand up. Get an airbrush spray tan from a Norvell Master Certified technician. Enticing specials and a referral program for repeat customers. Spending time here is an indulgence that can result in a head-to-toe makeover. Begin with time spent in one of the tanning beds or get a spray tan for a beautiful bronze blush just where you want. Add on a Glo Minerals facial, pedicure, manicure, new hair style and make-up refresh to complete a day all about you. Pick up fashionable purses, jewelry, watches, hats, belts and sunglasses, as well as hair care and make-up products as a final extravagance. This charming, adobe-style building not far from downtown is home to a select group of marvelous beauticians. If you’re just looking to wipe away the paleness of winter and have that sun-kissed glow, then book some time in one of four tanning beds. Time in the magic tan spray-on booth includes an anti-aging moisturizer, skin-prep hydration spray and UV accelerant, all under the watchful eye of an expert technician. Other services include facials, pedicure spa chairs, nail services, waxing, massage and make-up application. Plus, there’s a latte and smoothie bar. Enjoy! If you’re looking to jump start your tan after winter, begin here. You’ll find a top-of-the-line level 5 Egoline Superbed. Some bed reservations are interchangeable and upgrading to a mid-level or superbed is an option. On staff is a licensed Norvell airbrush technician who is also certified in colorology, so the tan is natural, genuine looking and long-lasting. A good selection of lotions to keep skin smooth and soft are also on-hand. Get your tan on! If it can’t happen naturally, then this fun, clean and friendly spot is tansational! There are two level one beds, for a 15 or 20-minute session, one level three bed for a quick 12-minute interval, and a Mystic spray-tan booth. Pick up some after tanning lotions to keep skin moist. Become a member for yearly benefits. Voted the “Best of Lincoln County 2016” by Ruidoso News readers. Tanning beds, of course, are what’s happening here along with manicures, steam pedi-cures, waxing, cellulite treatment, an infrared sauna, foot detox and an oxygen bar. The VersaSpa spray tannin unit on-site begins with a PH balancing solution and then you choose the depth of color for the tan. The technology helps eliminate streaks and blotches. There are standup and a lie down beds with both UV and UV-free tanning. The rejuvenation bed has a special light and lower EMF for the face that helps with anti-aging, acne, scarring and rosacea. Check out the organic essential oil skin care line, too. Get that sun-kissed soft, golden color that looks so natural in the tanning process here and people will think you got it on an island vacation. A variety of lie down tanning beds allow you to spend from 10 to 20 minutes getting just the right look. The Legend unit has eco-friendly lamps and ergonomic elements for relaxing comfort. The stand-up booth puts you in an ideal position for an all over uniform tan. There is, of course, the standard Mystic Tan system for a sunless tanning spray-tan option. There’s also a selection of bronzing creams and lotions on hand. If the palm trees out front don’t entice you to come in for a tan session, then you’ll miss out on this mini-trip to a replicated island paradise. From the bamboo matted walls to the dried palm fronds handing from the ceiling, you’ll feel like you’re tanning on an exotic beach. Lie down beds can be booked for three to 15 minutes. There’s a stand-up tanning booth for a 10-minute session and a leg tanner option. The Mystic Tan spray-tan unit is on-hand for those who need a sunless way to go. Tanning lotions and a hydration station make the experience safe and healthy.